The Bullseye 50cc trike is back! The 50cc Bullseye is a smooth running, economical trike that is easy to ride and fun for everyone. With a large rear mounted storage box, the Bullseye is great for commuting to school or work and picking up groceries. Available in Blue, Black, and Burgundy. Fun times are here. The Champion brought to you by Extreme Motor Sales is the ideal mini motorcycle. Take Everything Along with the Wizard Trike 50cc Scooter! 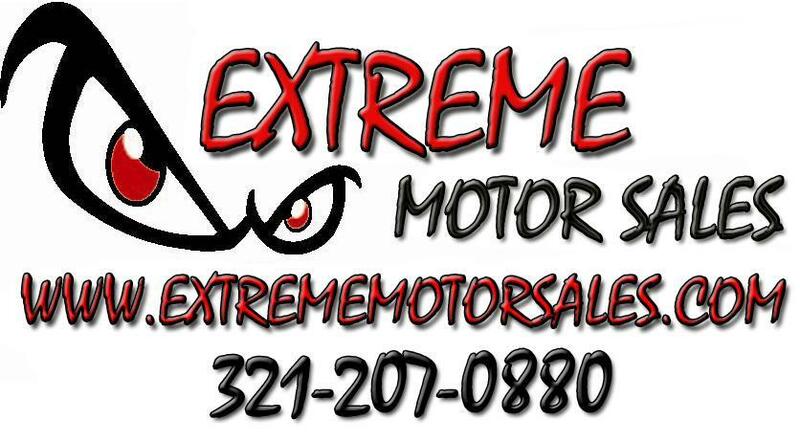 Extreme Motor Sales, 2327 E Semoran Blvd, Apopka, FL 32703 offers service and parts for all powersport needs. Get your bike running again and get back on the road! Help Save the Planet-- Ride a Scooter! Help save the planet, buy a scooter. Fewer emissions and better gas mileage with our scooters! What should I wear when I ride my motorcycle. Extreme Motor Sales has long been a loyal dealer of Continental Tires. Carrying over 20 sizes of scooter tires, Extreme Motor Sales is the place to purchase your Continental Scooter Tires. Stocking both modern and vintage Conties, you won’t get a better selection or price anywhere else. Not Just for Fun: Your ATV Can Work For You! Follow These 6 ATV Safety Tips to Prevent Accidents with Extreme Motor Sales. Extreme Motor Sales has new arrivals arriving daily at our Apopka FL showroom!